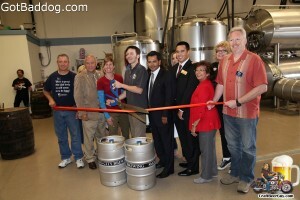 Saturday was day six of the 2013 American Craft Beer Week and in keeping with the theme of the week these photos are from the Smog City Brewing grand opening and a birthday party for the President of the Strand Brewers Club, a local home brewers club. If you have been following this site recently, you probably noticed that Smog City Brewing, a 2012 Great American Beer Festival Gold Medal winner, has been holding a few soft-opens in preparation for their grand opening. Well, Saturday was the big day. As Tanya really enjoys the Smog City Groundwork Coffee Porter and it pairs really well with her carrot cake, she made a few dozen carrot cake cupcakes and some homemade beef jerky to bring with us as a way to advertise BusinessNBeer. To say that they were a hit would be an understatement. I was lucky to get a couple photos before all the treats were gone. 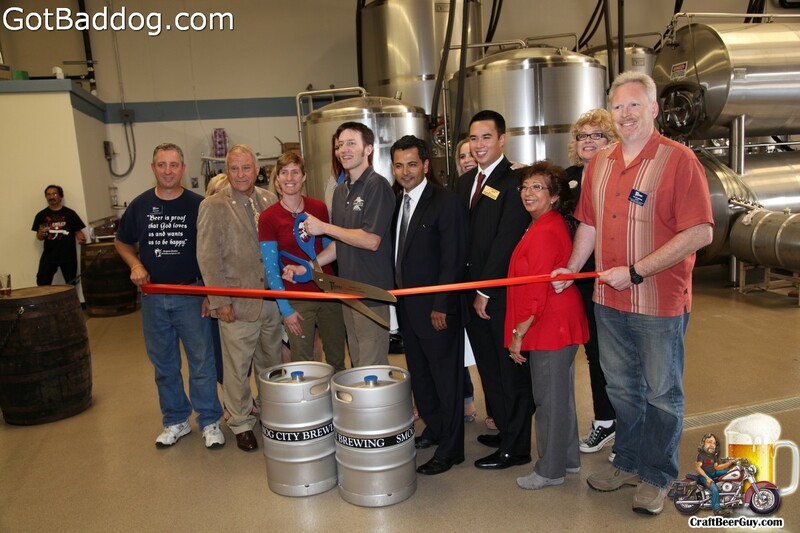 It is also safe to say that Smog City Brewing was welcomed with open arms by the local craft beer community.